All new cars must include a backup camera by May 2018. That's the latest from the federal government's National Highway Traffic Safety Administration (NHTSA), which recently announced the finalized regulation on backup cameras after years of back-and-forth. According to NHTSA, standard backup cameras will go a long way toward preventing injury and death, especially among children. Roughly 200 people are killed each year and another 14,000 are injured in so-called backover accidents, when drivers reverse over another person without noticing him or her. The vast majority of the victims are children, largely because their small size makes them hard to see from the driver's seat. Regulations for better rearward visibility have been under consideration for years. In 2007, Congress signed the Cameron Gulbransen Kids Transportation Safety Act into law, requiring NHTSA to set rear-visibility standards by 2011, but the agency delayed creating the standards for various reasons, in part because of governmental resistance and in part because the organization wanted to make sure that a precise rule could be written. Now that the rule is written, it mandates that all vehicles under 10,000 pounds include a backup camera by May 2018. 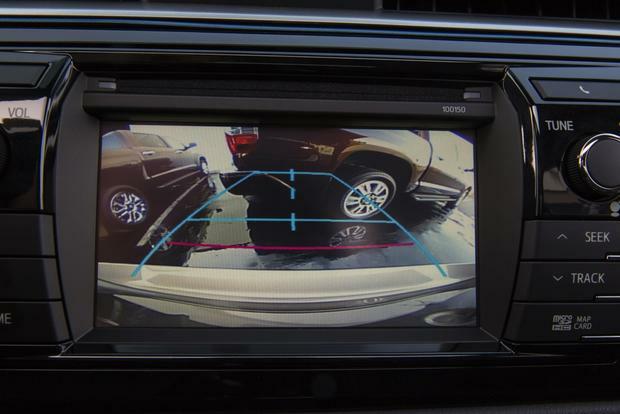 It also says that cameras must show a 10-foot-by-20-foot zone behind the vehicle, which most modern backup cameras will have no trouble complying with. Interestingly, backup cameras were beginning to reach widespread acceptance even without NHTSA's mandate. According to the agency, they're included on around half of all new cars sold today, and data suggests that nearly three-quarters of vehicles will have them by 2018, even with no requirement. Despite the increasing popularity of cameras, NHTSA says that the mandate will add to the cost of building cars, and that higher cost will likely be passed on to consumers. The agency estimates that its mandate will add around $40 to the price of new vehicles that already include a center display and around $140 to the price of cars that don't. Nonetheless, many believe that this amount is a small price to pay considering the potential benefits that should come from standard backup cameras. What it means to you: Although NHTSA's mandate doesn't go into effect until 2018, expect many newly released or redesigned cars to add backup cameras earlier than that.